All personal injury cases have similar phases. My goal is to give you an overview of the steps so that you know what to expect throughout the process. Even though many cases settle before trial, I’ve provided a very basic overview that follows that will introduce you to many of the phases of a personal injury case, from start to finish. To start, we generally notify the other party that we are making a claim for personal injury or wrongful death damages. This involves sending a letter of representation to either their insurance company or risk management company. The only exception is when we want to investigate a bit more before putting the other side on notice. The investigation phase is when my team and I uncover all the information we can about you, your damages, the other party, and what happened to you. Our research team gathers all the law related issues we will have on your specific case. Equally, if given proper time, and the case warrants it, we prefer to retain our necessary experts before filing the lawsuit. If the other party doesn’t have insurance, we will notify you immediately so we can explore other avenues of recovery, depending on the facts of your case. You must keep up with your medical treatment. This means that you make and keep your appointments, and you keep us updated on your doctor visits and recommendations by your doctors. Whether you recover or have permanent injuries, we want you to do everything you can to live a better life, which means following your doctors’ advice. If the claim cannot be settled, we will prepare and file a lawsuit. The lawsuit is the formal process of suing the at-fault party for the damages they actually caused you or your loved ones. In Texas, we sue the individual driver or company involved; however, there is always an insurance company or a company that is self-insured behind the scenes that is really in control. After the lawsuit is filed, each side has the option to engage in written discovery. This is where we send the other side a list of questions to answer and a list of documents they need to produce to us. For example, on a trucking case, we always request that they produce the truck driver’s log books so that we can calculate if he/she was over their hours of service. This process allows us to gather information we couldn’t otherwise find on our own. The next step is depositions. This is where we sit down in a conference room with attorneys from all sides and ask witnesses questions under oath. They are always written out by a certified court reporter and are usually videotaped. There are rules for depositions, but the setting is informal compared to being on the stand at trial. We take the depositions of everyone involved, as well as others who have information relevant to the case. If your case requires experts, we get them. Experts can be used to meet the legal burdens for liability, which means whether someone broke their legal duty to be careful or safe. Experts can also be used to explain or calculate your damages. The more serious the case and permanent the damages, the more the retained experts become necessary. Once the case is completely “worked up” (which means everything that could be done has been done), the sides are generally ready for mediation. We go to an office, and each side sits in their own rooms. Mediation is where we pick an agreed upon person to be a neutral voice of reason to assist in getting both sides to reach a settlement. If the case doesn’t settle at mediation, then it proceeds forward to trial. Trial is the time when we go to the courthouse and a jury is brought in. Each side presents their cases, the judge gives the jury the law, and the jury makes its decision. The jury’s decision is called a verdict. The people on the jury decide whether negligence was involved, the responsible parties, and how much damage the negligence caused to you or your loved ones is worth. After the trial, each side has a right to appeal or file a motion for a new trial; however, if the parties decide to end the matter, a judgment is entered and the case is over. If we lose, the other side has a right to pursue taxable court costs against you, which is the “loser pays” rule. If we win, the other side has to pay interest (determined with a formula outside of our control) and our taxable court costs. At the end of the day, this is all a very general overview of the process of a personal injury case, but I wanted to include it because most people never know what transpires, and I believe it is important for you to know. Throughout the entirety of your case with our firm, we will explain each phase as it comes up so that you will know what to expect. How Can The Button Law Firm Help? If you or a loved one are currently dealing with personal injury, please give us a call at 214-888-2216. You can also fill out our Contact Us web form. 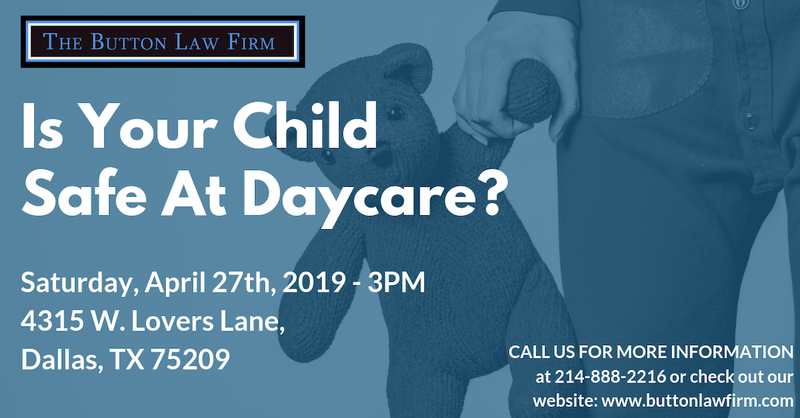 Our goal here at The Button Law Firm is to give free legal information to families to in order to help them make the best decision. Please feel free to download our book which explains personal injuries in Texas more in detail: The Essential Guide For Your Texas Injury Case.